EVE Online no longer supports old Pentium 3 and Athlon XP processors but CCP is asking affected users to submit reports to its customer support department, suggesting that the situation might be temporary. 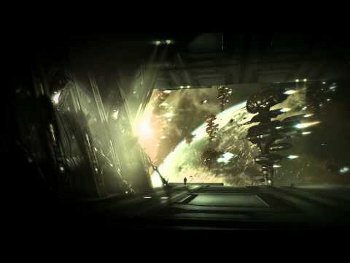 During testing of the Incursion 1.1.0 update for EVE Online, CCP received reports of a problem that caused the EVE client to crash at startup. The error log didn't provide any useful information, however, and the studio was never able to replicate the problem, which left the investigation dead in the water until someone on the testing team had a light bulb moment. He realized that some of the third-party binaries used in EVE had recently been updated and after some digging it was discovered that a feature requiring the SSE2 instruction set had been enabled. The downside, naturally, was that older CPUs that don't support SSE2 - Pentium 3s, Athlon XPs and their predecessors - were no longer compatible with the software. It's an uncool situation but given the "extremely few" number of reports about the problem that came up during testing, coupled with estimates that only about 0.3 percent of the player base is still running on the affected processors, CCP decided to roll out the update anyway. But the EVE Dev Blog suggests that this might not be the end of the story; the studio has added a specific non-SSE2 message that will display when the client is started on an incompatible machine and is encouraging everyone who runs into it to submit a report to the customer service department. CCP said further updates on the situation and what it's going to do about it will be forthcoming.